derok wrote: But still, once i follow these steps, there must be a kind of exercise which can help me to lose fat in that area. Nope. You have to reduce total body fat, and unfortunately the body "decides" which fat to burn mainly for genetic reasons regardless of the exercises. I, too, would like to lose my belly without getting too skinny at other parts of my body (especially the face), but except for surgery there is no way to do that. My body seems to be very fond of my belly and does not give it up easily. But still, once i follow these steps, there must be a kind of exercise which can help me to lose fat in that area. So, which one do you think is the best for achieving this goal? Clean up your diet first, and see what effect that has on your belly. The fact that you're gaining weight despite exercising shows that there's something very wrong about your diet - most likely too many sugars and refined carbs. A well planned diet and a crappy exercise routine will lead to better results than a crappy diet and a well planned exercise routine. As I said before, no exercise program can keep up with your fork. Keep in mind that there are 2 types of belly fat. There is the subcutaneous fat, also known as love handles. This type is distributed all over and as Josh mentioned, losing that fat will show on your face as it requires losing fat all over to make an impact. The other type is the `pot belly`. This is the kind that can kill you. This is a sign of fatty liver disease and is caused by diet and stress. If this is your problem, you need to eliminate all sugar and alcohol from your diet. Add choline (found in egg yolks and liver) and make sure you address any other dietary deficiencies. About a quarter of the adult population have this problem. It`s really a public health problem that seems to be ignored. stuward wrote: Keep in mind that there are 2 types of belly fat. There is the subcutaneous fat, also known as love handles. This type is distributed all over and as Josh mentioned, losing that fat will show on your face as it requires losing fat all over to make an impact. The other type is the `pot belly`. This is the kind that can kill you. This is a sign of fatty liver disease and is caused by diet and stress. If this is your problem, you need to eliminate all sugar and alcohol from your diet. Add choline (found in egg yolks and liver) and make sure you address any other dietary deficiencies. About a quarter of the adult population have this problem. It`s really a public health problem that seems to be ignored. About cardio. Im a little confused if cardio will burn muscle I have gained from lifting weights. In the search of information about gaining muscle, i keep getting the warning: watch how much cardio you do. I ranted about this recently in this same thread. Intensity trumps duration. Do intervals. Sorry if I'm coming across as preachy about cleaning up your diet. Stu, reading that article (second one) confused me as to what oil could impact on fatty liver. Are they recomending corn oil or coconut oil? What is your spin on oil in general? Natural fats are OK, artificial are not. Natural would include coconut, olive oil, animal fats. Artificial would be vegetable oil and margarines. Since my main goal is to gain muscle by lifting weights. And at the same time i want to get rid of the fat of the belly by doing High intensity interval training. How do I mix lifting weights days with the High intensity interval training days? Should I do High intensity interval training in the days that I don't lift weights? 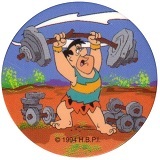 derok wrote: Since my main goal is to gain muscle by lifting weights. And at the same time i want to get rid of the fat of the belly by doing High intensity interval training. Can someone help me with this question please? This has already been answered, perhaps not directly. You can do HIIT imediately after your strength workout. This works well if your strength workout is short (30-40 minutes). If your strength workout is long (1 hour or more), you probably should do the HIIT on your off days. I find I'm pretty bad about getting in the HIIT afterwards. Under the current plan, I do 2-3 bouts of HIIT 30 miutnes apart, then start weight training. The weight training is short (30-45 minutes). I could make the last HIIT round, more like a warm up. And if I'm well fed, (given today as my sample size), would it kill my weight training? Or, perhaps do more lower body focused HIIT on upper days, and do something like an upper complex or Mt Climbers+PushUps on lower days. You can do it anyway that works for you. The main thing you're trying to improve with HIIT is your recovery. The goal is to elevate your heart rate and then let it recover. The faster you can recover, the fitter you are and you'll see improvements in work capacity and endurance along with the faster heart rate recovery. So if your goal is to go through, say, 6 cycles in a day, it doesn't really matter if you do them all at once or in spurts. You'll get the same benefit. I feel great today so its good to know this. I have also stopped eating before going to bed. It's just a bad habit which leads to fat storing on the body instead of being burned.